As each of us goes about our daily routines and responsibilities we typically don’t think about the possibility that we might simply wear out one day. Activities in the community, entertainment, keeping up with e-mail, social networking, etc. We just keep going. 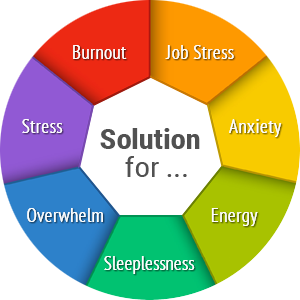 There are, however, millions each year who, whether because of fatigue brought on by shear physical exhaustion or burnout in the workplace, find it nearly impossible to keep up the pace. Days off and vacations aren’t enough for some of us, and HeartMath Institute understands the importance of doing more to stay engage, happy and healthy. That is why teaching thousands of people each year to re-energize, rejuvenate and raise their resilience through self-care is central to our programs, services and mission. Each of us has a supply of internal energy available on demand for the smallest tasks and the most arduous endeavors. This assumes, of course, all of our mental, emotional and physical systems are functioning properly – and we are resilient. HMI defines resilience as the capacity to prepare for, recover from and adapt in the face of stress, adversity, trauma or tragedy. The resilient individual can bounce back and recuperate faster after a long day or week’s work, challenging situations or illnesses. Resiliency even gives us the capacity to neutralize and prevent some of life’s ongoing wear and tea, especially the kind that can weaken our immune system and lead to myriad health problems. "Take care of yourself and the rest will follow." 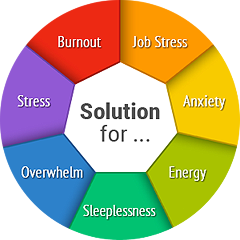 The ultimate aim of HMI’s scientific research since 1991 of stress, emotions and heart-brain interactions has been finding ways people of all ages can improve their lives through self-care. We’ve made some important discoveries. Our research shows, for example, two forms of self-care that can help people experiencing burnout or fatigue are creating more heart-rhythm coherence and self-regulation of emotions. These are complex internal processes studied by scientists around the world, but achieving their benefits can be simple. All you have to do is practice some easily learned tools a few minutes a day. This HeartMath study shows how 88 correctional officers used coherence- and resilience-building tools to reduce stress and health risks in the workplace. Click to read. Here’s a simple exercise adapted from HeartMath’s Cut-thru® Technique that can help achieve emotional coherence and has been shown to improve the efficiency of the body’s immune system. Simply tackle one issue at a time. Breathe a positive feeling or attitude. Be objective, as if the issue or problem is someone else’s. Rest peacefully in this neutral state, allowing your heart intelligence to offer new perspectives and possibilities. Soak and relax all resistances and disturbing or perplexing feelings in your heart’s compassion. Ask for guidance and then be patient and receptive. While awaiting an answer from the heart find something or someone to genuinely appreciate. Less energy wasted on issues means more energy stored. More hopefulness about the future. Nagging problems won’t wear you down, weaken your immune system. 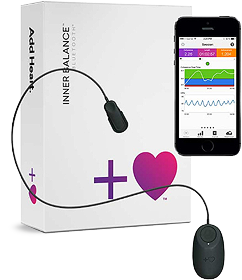 This unique app and the HeartMath Sensor for iOS was designed for today’s on-the-go lifestyles. Now you can use your iPhone, iPad and iPod devices anywhere to build heart coherence and improve personal performance improvement.